Don’t let anyone tell you that The Sims 4 isn’t a solid game. It’s got a great new selection of gameplay features, characters and ideas bubbling under the hood of that Playing-God-Simulator that makes it not only accessible to newcomers, but a fresh experience for veteran fans as well. What the game didn’t have on launch however, was a ton of content. Over the last couple of months however, The Sims 4 has added new features, making the game more substantial. With the Outdoor Retreat “game pack” however, the game goes into expansion territory as it tries to offer plenty of bang for your camping buck. So what does R200/$20 get you exactly? In Outdoor Retreat, players can now access new clothing, all pulled from that camping section left to gather dust at your local Mr Price Sports. You’ve got hats, shorts, khakis and the obligatory combination of socks and sandals to help see you through the outdoor experience. Kids also get a few new outfits, including a delightful selection of bear outfits that can’t possibly attract actual bears when you go camping. New personality traits such as Squeamish and the Outdoor Enthusiast Aspiration also buff your Sim with new survival skills, or hobble them with crippling fear as they fear the dark because I like creating broken digital individuals in my Sims games. From there, the game also tosses in new home decorations and the like. Usually, that’s plenty enough content for EA to justify a price tag, something that any Sims 3 player would agree on. But Outdoor Retreat then adds even more content. 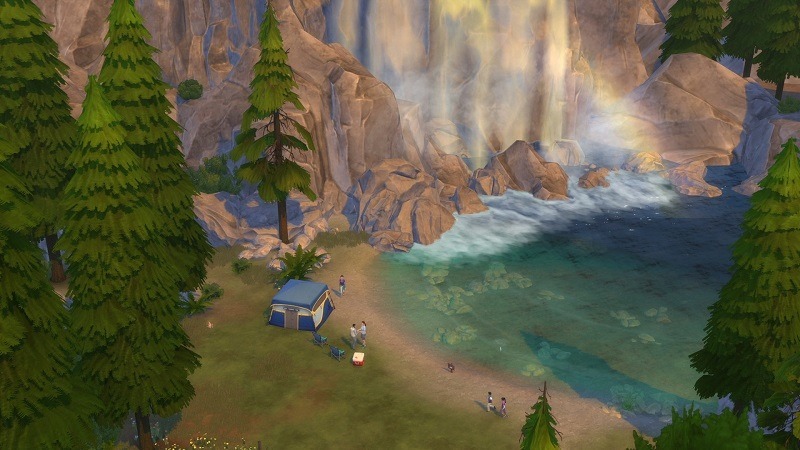 The big new draw here, is that you can take your Sims to Granite Falls. It’s the titular outdoor retreat of this pack, that features a vacation spot for your rogue personalities. 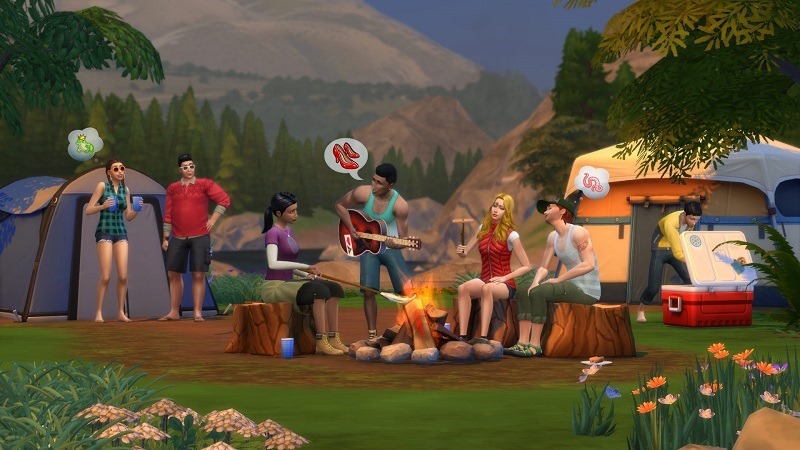 Sims can rent out camp sites within which to cook hot dogs and chill, spend a night in a modest cabin in the woods that doesn’t have serial killers lurking beneath the floorboards or live it up in luxury in a massive lodge that most likely doubles as a meeting spot for Freemasons. 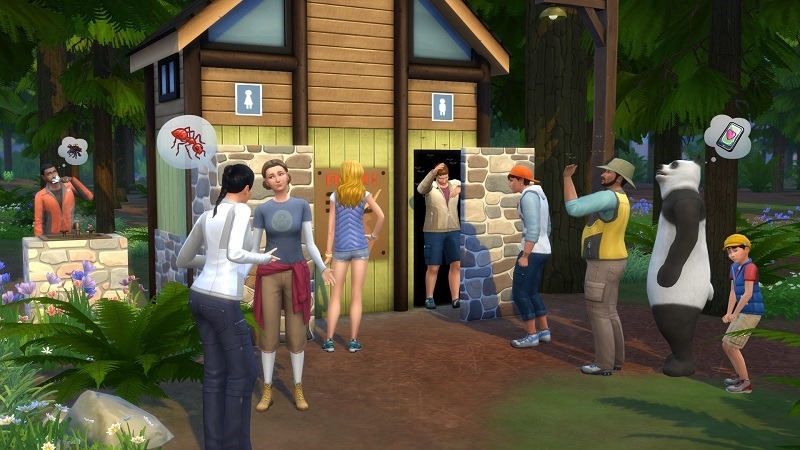 There are 5 established lots in total, which allow Sims to vacation there for a maximum of seven days, each with their own individual price brackets, all accessible from the map of Granite Falls. And it’s kind of fun. 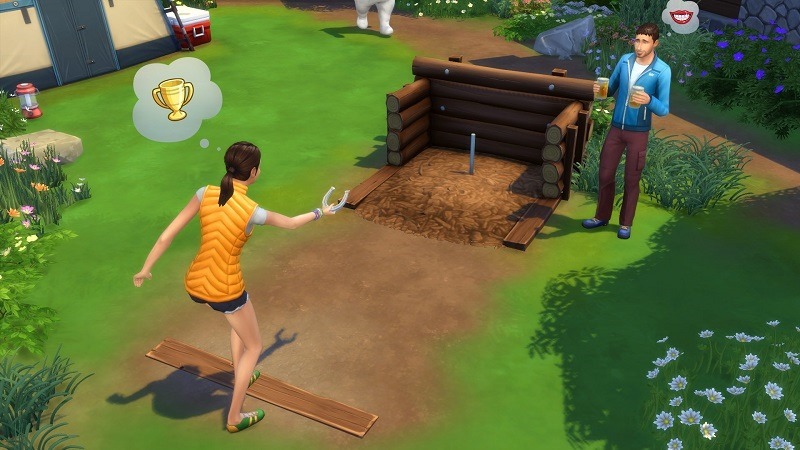 There’s a plethora of new activities for your Sims, from roasting marshmallows to engaging on a massive hike or try and land a big fish while out on the lake. You can spin a yarn around the campfire, catch some nasty bug from a public restroom and more. Suffice to say, there’s plenty to do here. It’s a pricy expansion, but it’s well worth it if you’re a fan of not only the game, but the great outdoors as well.